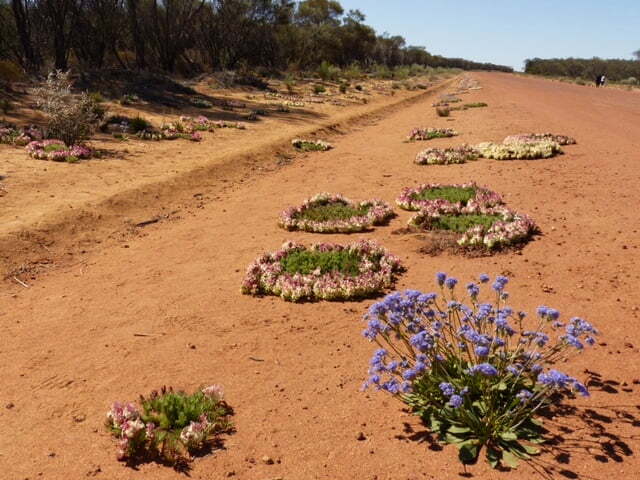 If you want to see red wreath wildflowers in Western Australia, then you’d better go right now! Garden tour guide Helen Young reports that 2016 is shaping up as the best display many can remember. Finding a single red wreath flower is usually seen as fulfilling the dream but what about a whole roadside covered with them? 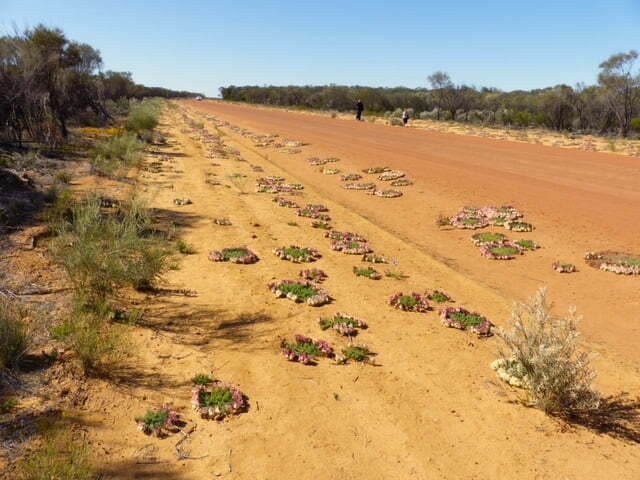 Well-known garden tour guide Helen Young is currently on a wildflower tour near Mullewa in Western Australian and sent in these astonishing photos of hundreds of red wreath flowers near Pindar, east of Mullewa, in full bloom, some of them even on the road itself. 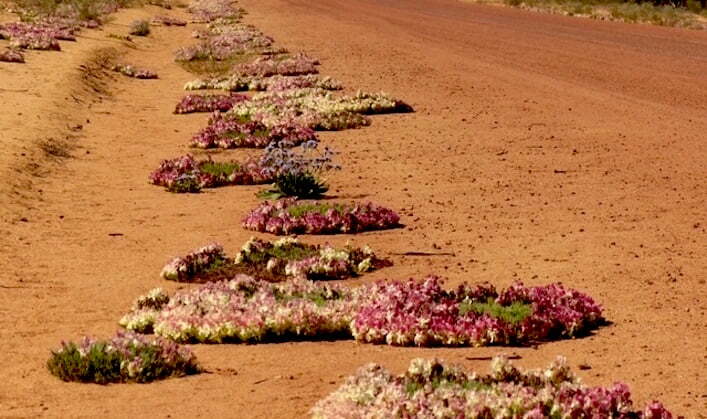 Lechenaultia macrantha, (also spelled Leschenaultia), called red wreath flower because of its flat, wreath-like growth habit to about 500mm across, grows mainly in the red sand country east of Geraldton and blooms in mid-spring. 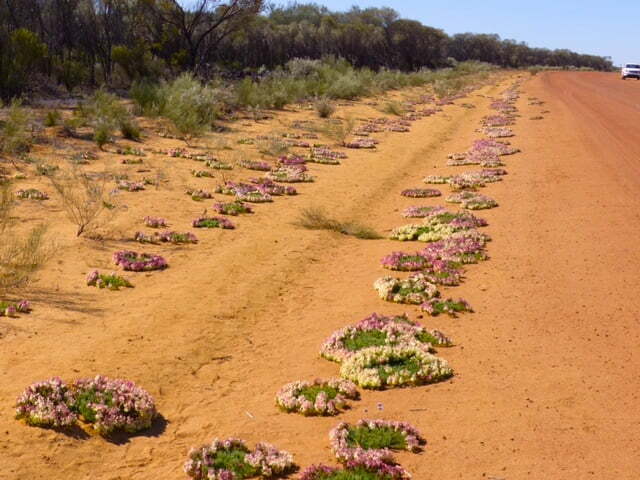 It’s often found in the disturbed gravelly-sandy soil next to the road. It must be so exciting to see them – quite weird and wonderful.